Tons of ink has been spilled on the woes of the New York City subway system and the congestion pricing solution that would help fund its long-overdue improvements. But congestion pricing can be much more than just a subway-fixing fund. 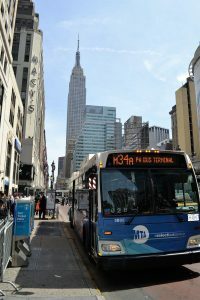 It could also enable the electrification of the city’s entire bus fleet – a move that would save fuel costs, reduce the city’s carbon emissions and improve air quality for millions of New Yorkers that live, work and learn along the city’s maze of bus routes. Pollution-wise, transit buses can be a mixed blessing. They significantly reduce car traffic and the air and climate pollution it causes. But most of them are powered by diesel engines that emit large quantities of carbon and other air pollution that not only contribute to climate change, but also threaten the health of passengers, other commuters and people living and working along bus routes. 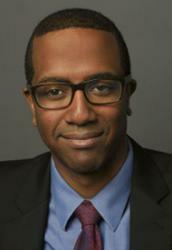 And since New Yorkers of color and those with lower incomes are more likely to ride the bus, bus pollution isn’t just a climate and public health issue, it’s an environmental justice issue as well. New York City’s vast bus system covers more than 2,952 miles of routes in all five boroughs and serves nearly 400,000 commuters a day. If you ask regular users about the service, they’ll tell you it’s critical. They’ll also tell you it’s slow, late and dirty. The congestion pricing system being considered for NYC can help all three problems. By incentivizing the use of public transit during times of high congestion, it would reduce the number of cars on NYC streets, thus improving bus speeds and on-time performance. And in addition to funding fixes for the city’s subway system, congestion pricing could also fund the city’s transition to electric buses. That, in turn, would save millions in fuel costs, slash air pollution and improve local air quality, and reduce carbon emissions. Win, win, win. New York is already moving in the right direction. 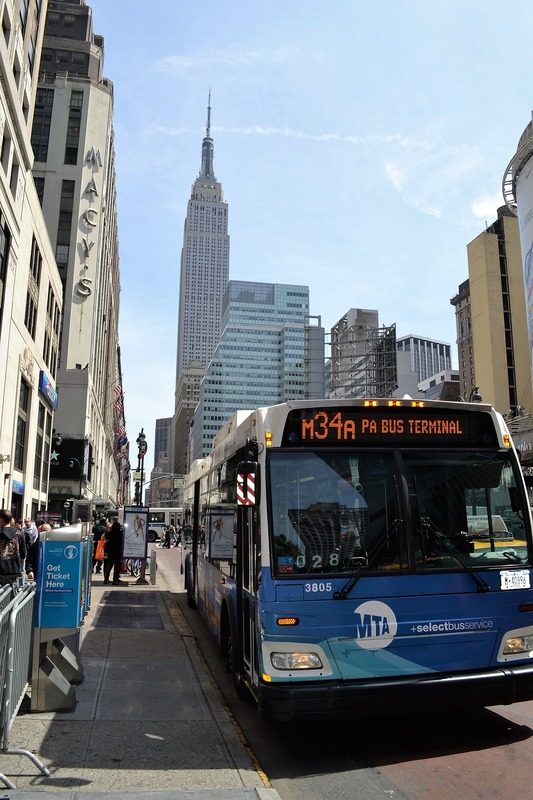 The MTA included the electrification of more than 2,800 buses as part of its five-year Fast Forward goals. And through a clever partnership in White Plains, the school district, National Express, Lion Electric and ConEd have deployed several fully electric school buses that provide clean rides for school children and battery storage for the grid during the summer. With reduced fuel and maintenance costs, it’s cheaper to operate electric buses than those with combustion engines – the challenge is to finance the up-front costs of acquiring electric bus fleets. A full transition will therefore require significant investment, and the Fast Forward goals don’t include a funding mechanism for bus electrification. This fall, the state’s Department of Environmental Conservation designated over $52 million of the Volkswagen emission scandal settlement toward the electrification of transit and school buses. That commitment will provide a significant down payment to the effort, but isn’t enough for full electrification of all transit buses. It’s estimated that the Fast Forward plan, including a complete switch to electric MTA buses, will cost billions of dollars each year over the next decade. The plan will also provide numerous benefits like less pollution and better and more reliable transit options for the millions of people who live in and visit the city every day. A congestion pricing system would provide ongoing and consistent resources to fund the Fast Forward vision and supplement the short-term VW windfall. Moreover, the congestion revenue can help reduce investor risk and thus attract additional, private sources of capital. As they deliberate the pros and cons of NYC’s congestion pricing plan, it’s critical that members of the State Assembly and Senate see it as a multi-faceted solution to the City’s challenges. Yes, it will alleviate traffic. But from cleaning the air and reducing climate pollution to funding critical improvements to the subway system and the electrification of the city’s buses, it’s shaping up to be a sophisticated answer to many of our most urgent questions. This entry was posted in Air Quality, Congestion pricing, New York. Bookmark the permalink. Both comments and trackbacks are currently closed.